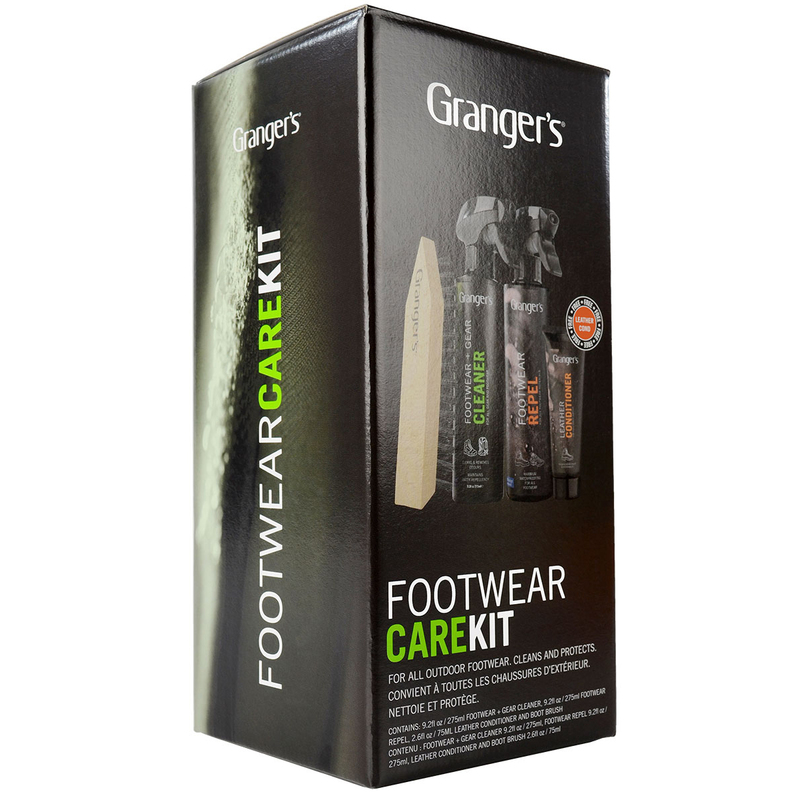 An all-in-one kit designed to care for all types of footwear. Each kit contains one bottle of Footwear + Gear Cleaner 275ml, one bottle of Footwear Repel 275ml, one Footwear Brush, and a free tube of Leather Conditioner 75ml. Leather Conditioner provides nourishment and protection to smooth leather footwear. Footwear Brush helps remove dried-on or stubborn patches of dirt during cleaning. Footwear Repel provides PFC-free water-repellency to all types of footwear. Footwear + Gear Cleaner removes dirt and neutralises odours without impairing performance.